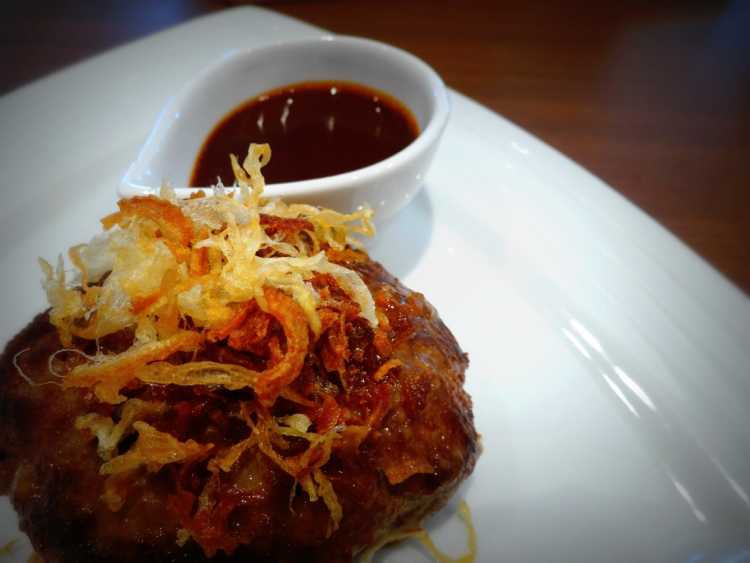 The hamburg is made from 100% Chiya beef that is famous as expensive wagyu grown in Okayama. With miso and red wine demiglace sauce. Because it is very rare and called visionary beef, I was attracted to it. I could find the sweet flavor of high quality beef.